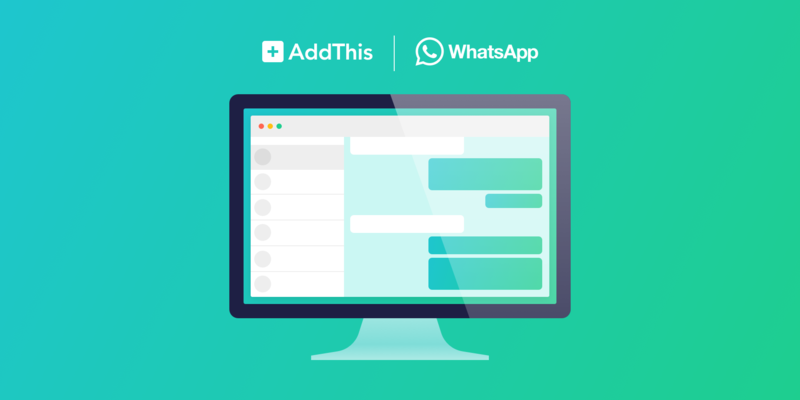 This week, we launched the ability to share to WhatsApp directly from your desktop or laptop browser using AddThis Share Buttons. Now, when you come across an article you want to share, you can share directly to your WhatsApp contacts from your computer instead of having to waste time fiddling with your phone. Note: You’ll need the WhatsApp desktop app installed to share to WhatsApp on desktop! If using Chrome or Edge, you’ll be prompted to install the app if you haven’t already. If using Firefox or Safari, you may get an error until you install the desktop app. You can download the WhatsApp app for Mac or Windows PC for free here. Need help? Have a suggestion? Feel free to reach out to us at help@addthis.com or on Twitter at @AddThisSupport.